If Gold’s Going Up… Why Are Gold Stocks Falling? Queen Elizabeth was born on the 21st April. Yet we celebrate the ‘Queen’s birthday’ today? Don’t get me wrong. I’m not complaining that we get the day off today instead. Otherwise it would be an even longer dry patch til the next public holiday – Melbourne Cup – five long months away in November. And besides, it gives me a nice little segue into today’s Daily Reckoning. Over the centuries, The Royal Family has stolen its fair share of gold from its ‘loyal subjects’. So the Queen’s Birthday seems as good a day as any to ask a gold question. One that’s has been bugging me for months. If gold is going up…why are gold stocks falling? In theory, a gold stock is worth the value of its future cashflow. So a stronger gold price should lift gold stocks. That’s pretty much the pattern we have seen in the past. So in times of new highs in the gold price every few months, why are gold stocks falling? It looks like some of them are even short selling the gold stocks to reduce their risk. This suppresses the price of the gold stocks even more. But the ETFs can only push this trade so far. For one thing, wherever the price goes, gold stocks are still worth the price of their future cash flows. And as the gold price rises further, so does the stock’s value. Gold stocks at current prices are incredible value. And good value will lead to good buying. If we start to get bargain hunters taking this opportunity up, then at some point the traders will start having to close their short positions. This increases the price, and soon the traders could start a stampede as they all try to get out. This could lead to a big spike in the price, blowing up months’ worth of profits in minutes. This will happen at some point, and gold stocks will go ballistic as they get back to where they should be. Closing this trade would also mean selling the gold ETF. It’s amazing to think that the largest gold ETF in the world now holds more gold than most central banks. Apparently, the US Commodity Futures Trading Commission, with the Gold Anti-Trust Action Committee, reckon there is now one hundred times more gold in ETFs in the world…than physically exists above ground. ETFs are convenient. 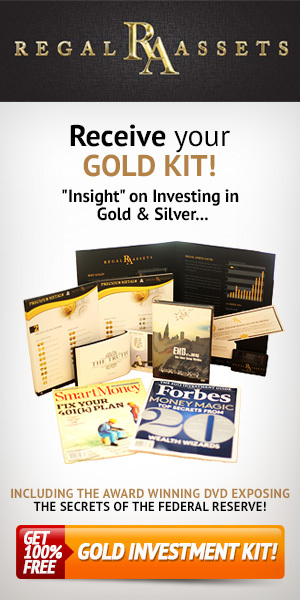 They are the cheapest way to buy and sell precious metals and they have their role in the market. They let you buy and sell metal via Etrade or Commsec quicker than you can say ‘Goldfinger’. At the other end of the spectrum, buying physical gold or silver metal is more expensive – because dealers charge a premium. You then have the cost of delivery, storage and insurance. Dealers also take their cut when you sell. So why bother with bullion? For one reason – to avoid ‘counterparty risk’. This is the risk of trusting another party with your investment. When you buy an ETF, the metal you buy is generally not held by the ETF provider, but by a large global bank like HSBC or Morgan Stanley. Thankfully buying gold and silver yourself is easy in Australia. I took a look at how to do that in this month’s Diggers and Drillers, so readers had a full list of ways to buy and store gold themselves. This included a few ways to get bullion that you may not have thought of. But you might be able to turn up with a bit of research. With precious metals stocks looking very cheap, and set to catch up with the gold and silver price before long, I have been busy recommending gold and silver explorers for the last few months. This month, as well as looking at buying bullion, I recommended a precious metals stock that could make a 600% return in the next few years. Not everything is overbought. There are still some value picks out there if you’re prepared to look. I’ve got another newsletter brewing, and have my eye on the next tip already. You can make good money on good precious metals stocks. But I don’t think there’s any replacement for actual physical gold and silver ownership.